10 x better than spreadsheets. Breathe’s staff management software gives your business the system it needs to build and maintain a happy workforce. Centralise all of your HR processes with our employee management software. Manage everything from on-boarding and performance reviews to project time tracking, leave and absence, payroll, expenses, and much more. Breathe’s comprehensive employee management software will change the way you interact with employees for the better. What is an employee management system? Online employee management systems are central hubs for all HR and employee related information and administration. Employee management software automates your basic HR processes and helps you keep employee information up to date and available at the click of a button. Comprehensive reporting features allow you to monitor and support staff in a way like never before. Say goodbye to filing cabinets, bulging files and lost paperwork. breathe’s employee management system keeps your employee data organised online so you have instant access to everything you need to effectively manage your teams. 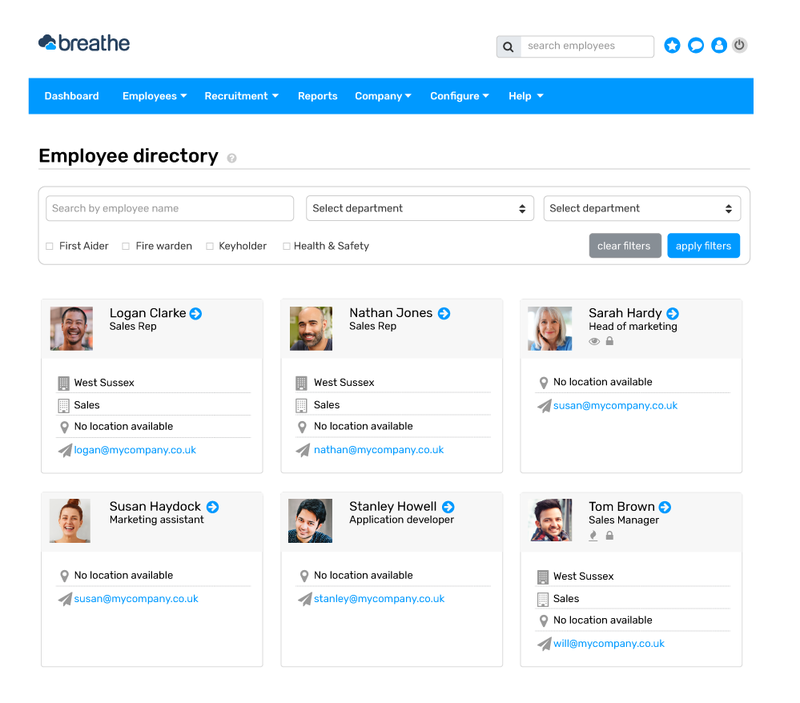 With organised employee profiles that safely store employee information and documents, employee dashboards that keep your staff informed and make self-service easy, and a staff directory to keep everyone connected, breatheHR is the way forward for skyrocketing performance. 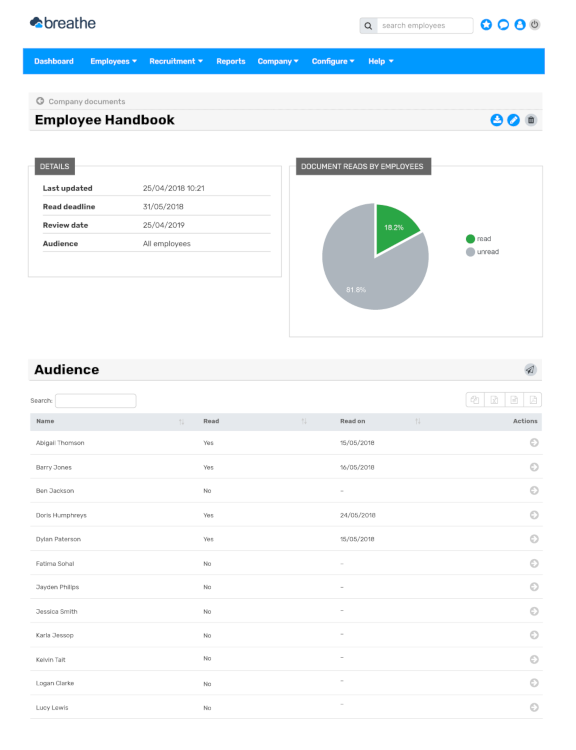 With a user-friendly employee dashboard, the Breathe employee management system can be easily accessed by all staff. 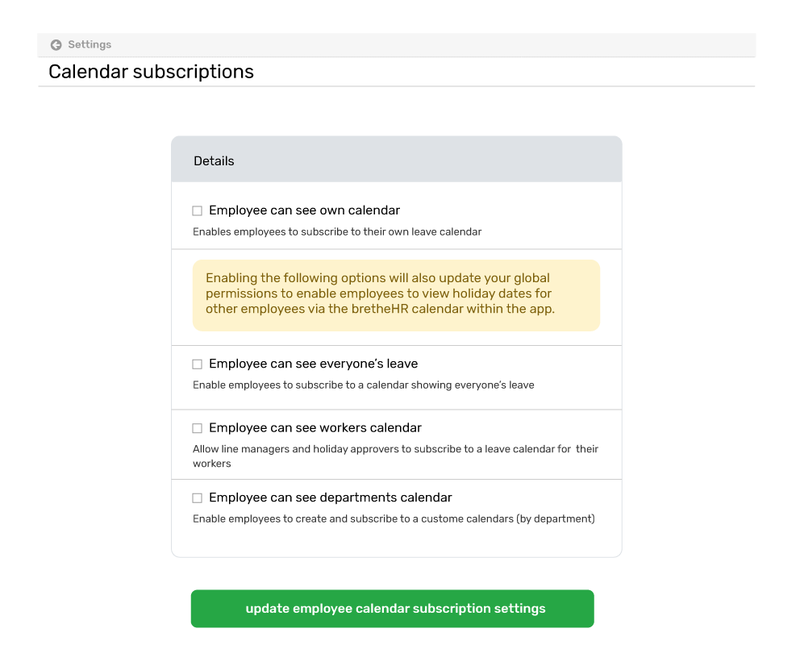 Employees can see their holiday allowance, request leave, claim expenses, log overtime, and stay up-to-date with company news and documents, and so much more. We’ve developed HR software that’s simple to use and has all the bases covered to ensure your employee administration runs like clockwork. Increase HR efficiency with Breathe. 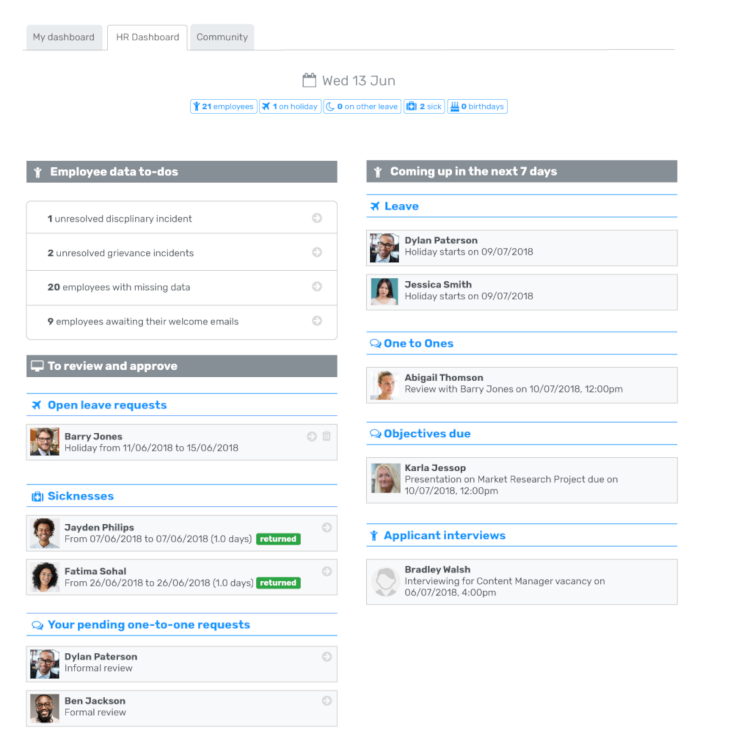 Our online HR system opens up a whole new dynamic to HR management. 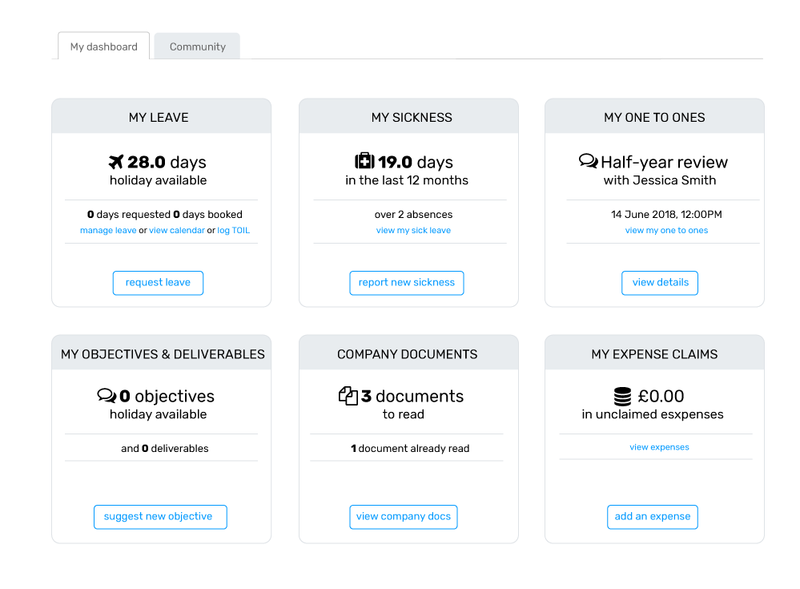 Gathering employee information, storing documents, managing performance reviews and dealing with the administration of staff absence is quick and easy with Breathe’s HR database software. Breathe’s employee software centralises information, and simplifies the most tedious of HR tasks, giving you more time to concentrate on the strategic direction of the business. With a self-serve system, employees can upload all the information your company needs right from the word go. Gathering employee data is quick, easy and data is stored securely. Privacy and sharing settings mean you get to control who sees what and when. 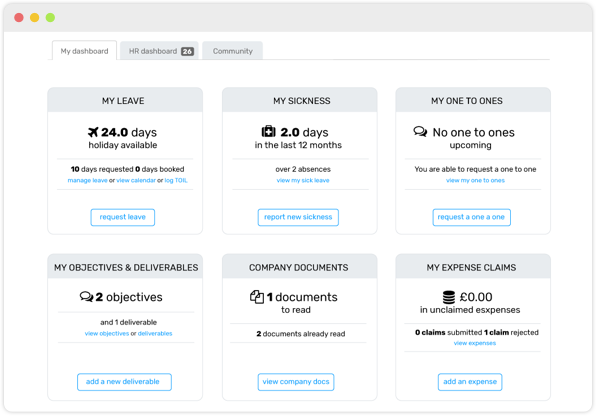 With Breathe’s comprehensive online employee information system you can have policies and procedures quickly uploaded and communicated to staff in an instant. Breathe will even keep track of who’s read them. The company directory provides a quick and easy way to make calls, send emails and connect with colleagues on platforms like Linkedin. With improved communication, team collaboration couldn’t get any easier. Making sense of your data supports you to make those all-important critical business decisions. Our comprehensive report library helps you to focus on the information you need. 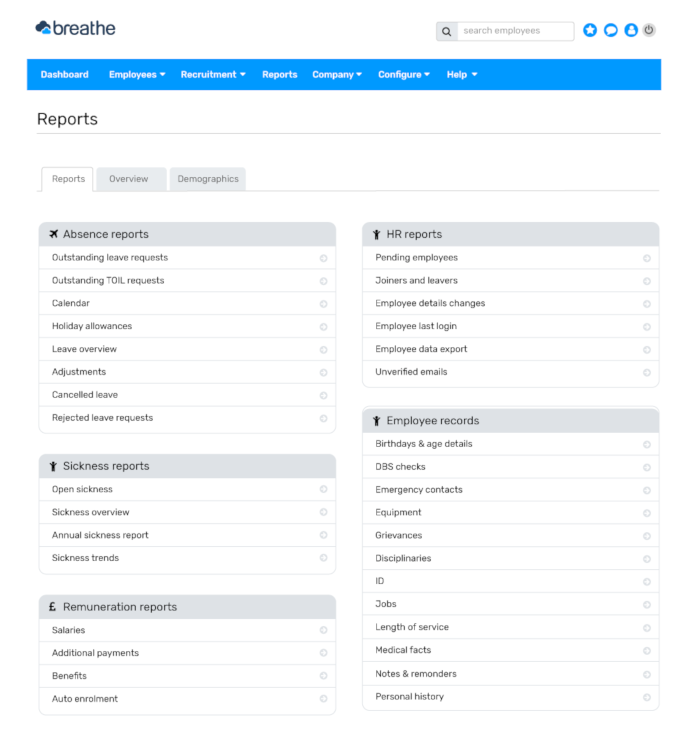 With Breathe software you’ll have just the report you need instantaneously. With our clever reporting structure you’ll be able to spot trends and take action sooner rather than later. "The system is very user-friendly and provides all the information we need."